It is rainy and cold, and I have been on the bike for nearly 16 hours. And, although you’d expect that my legs would be my biggest complaint (or that part of my body stuck to the bike’s narrow saddle) instead, it’s my hands that I notice the most. They aren’t doing what I tell them to (in fact, they aren’t doing much but aching). The fatigue of the long, hard ride (the first 200-mile stage in a 600 mile race) has taken its toll and I can no longer shift the gears on my bike to accommodate for climbs, flats or descents. Instead, I have to dismount the bike after every change in elevation and have my fiancé—who is along for the ride— do the shifting for me. My hands have simply stopped working and everything normal— from grabbing a water bottle to shifting gears on the bike— becomes impossible. When I win the stage—and later, the race— but, I still remember the way my hands stopped working as one of the more difficult challenges— more difficult than the chamois in my shorts which came unstitched and lodged itself along my inner thigh were it rubbed my skin bleeding raw or the swollen sores that kept me from sitting down for a week after the race. In fact, for a number of years, I understand this as the territory of the ultra-endurance athlete: that, at a certain point in races that last more than ten hours, you can guarantee that some part of your body will stop working. It’s not particularly scary, though, because this kind of discomfort is finite: once the race ends, it’s only a matter of time before you recover, and you become yourself again. 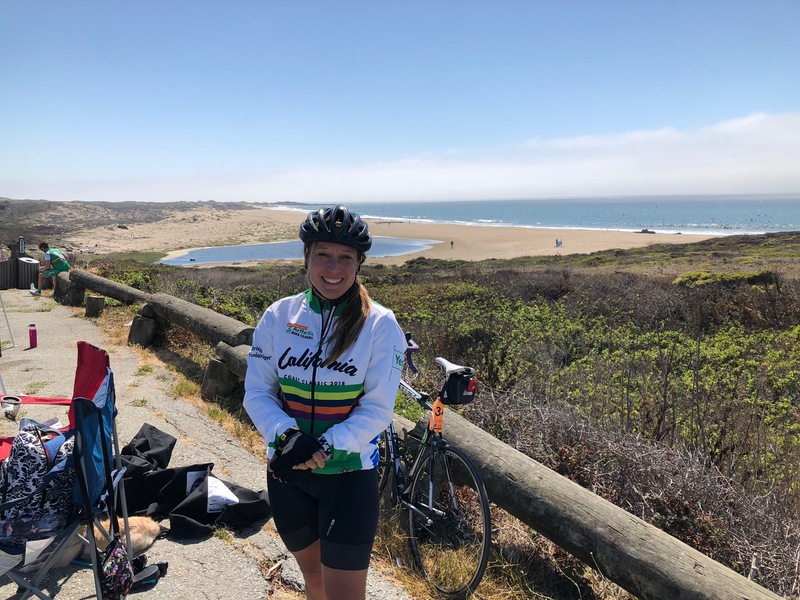 I think of this as I embark on a new adventure, the California Coast Classic, which is an 8-day, 525-mile bicycle ride that also functions as the primary fundraiser for the Arthritis Foundation. Like many “outsiders,” the event and the condition are foreign to me when I accept the writing assignment and gleefully agree to participate in the event to some capacity. Yet, after participating in the first two days of the event (which took me—by bike— from San Francisco to Carmel-by-the-Sea) I return to the memory of the race when my hands stopped working. I realize now that it was a glimpse of what those inflicted with arthritis face every single day. Only, arthritis is more terrifying because, unlike my hands in that race or GI issues or a cramp, a muscle strain, a fractured or broken bone, a torn tendon or even a concussion, arthritis is anything but finite. Arthritis, for now, is so big, it is infinite: it is never being yourself again; of losing a lifestyle you loved; or, for young people (kids), of never having the chance to learn your body or who you are outside of this debilitating pain which threatens to make you what you are not. I’m going to be honest: this was one of the hardest writing assignments I have ever undertaken. Granted, it should have been “easy”: as an athlete, I write about the body all the time. As a cyclist, I spend 10,000 miles each year (about 12-15 hours a week) on the bike, and so I know the territory well. And yet, there is something about the California Coast Classic that contains enough unknowns to make me nervous for months before it happens, and nearly neurotic the week it does. It probably doesn’t help that I competed in the Silver State 508 the week before — a 508 mile cycling race that crosses my home state, and that my team set a new course record. I come home to piles of stinky cycling clothes, unpacked coolers of uneaten “race food”, piles of grant applications for programs to benefit at-risk youth (my day job), a stinking cat box and ten chickens who have missed me. I have no idea of what to expect. 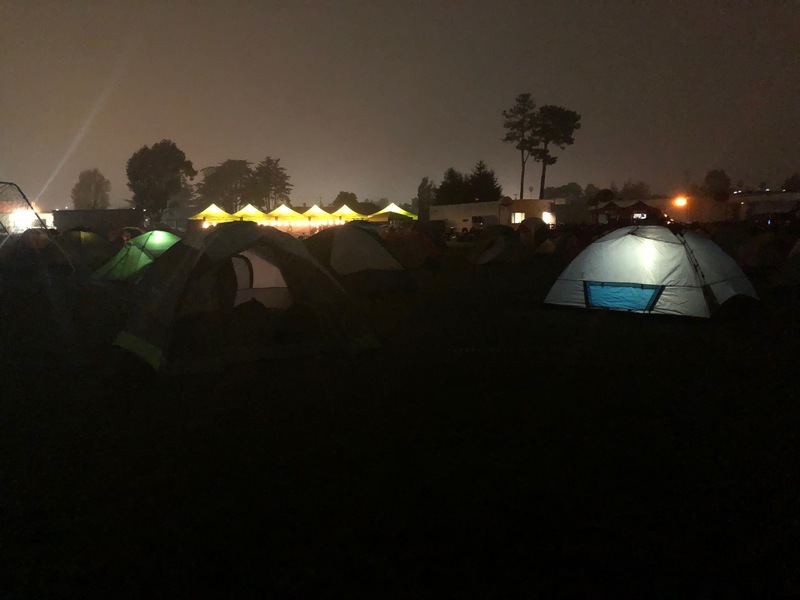 For all my cycling experience and racing, I have never completed a multi-day event where riders not only ride with one another along a prescribed route, but who set up camp together, who tell stories until the night turns too dark and cold, and who connect in a way that is, in many ways, antithetical to the race scene. This is not just another bike ride: this is what Joseph Campbell was talking about when he wrote about “the hero’s journey.” This event is challenging, but also life-changing. I have changed the names of people I rode with and spoke to because I want to preserve the truth of their stories and experiences without exposing anyone to media that they might not desire. Websites, team names and other public information is all true and verifiable. My experiences, impressions and thoughts are gleaned from my notes scribbled at the end of the rides on each day. I completed the first and second day of the California Coast Classic as if I was a registered rider. This means I rode from San Francisco to Santa Cruz on the first day, and from Santa Cruz to Carmel (South of Monterrey) on the second. That is approximately 160 miles of riding and 48+ hours of learning about one of the most debilitating conditions for both young and old alike. The morning of the event, Rich (my fiancé) and I arrive in San Francisco— at Pier 39— under a thick layer of fog. This is the starting line: granted, we get there with nearly two hours to spare, and so we set up my bike with the required signage (a small orange placard which contains my number, name and other details that is attached to the front and back of my bike) and chat with mechanics from Sentio cycling who will support the 200 riders on the 525 mile journey to L.A. We also meet a handful of participants, who, like me, like to arrive early. There are three kinds of race placards: I have an orange one, which means I am an event participant. It lists the number of years in which I have participated in the California Coast Classic (I’m a first-year participant), my name and number. The orange color means I could or could not have arthritis. 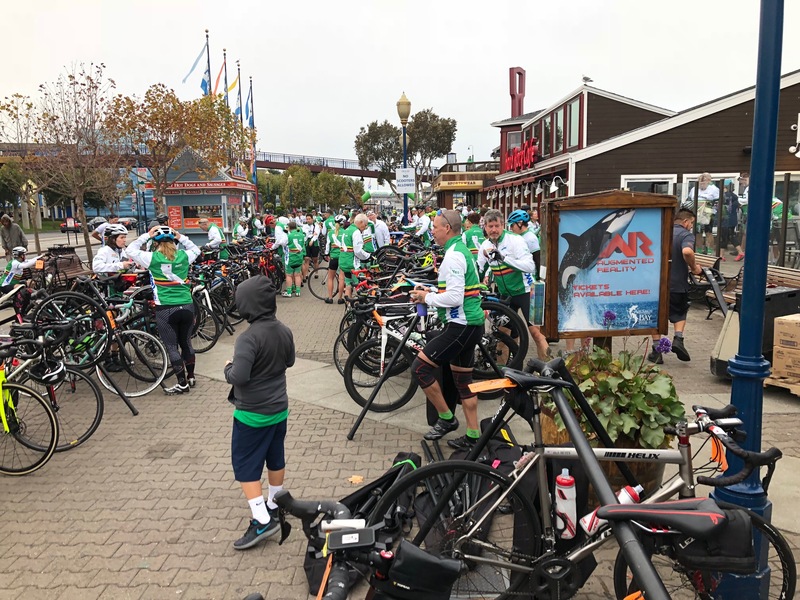 There are green placards too: those are riders who voluntarily identify themselves as not only participants in the event, but riders who also suffer from some form of arthritis. Red placards indicate that a rider has some sort of medical training. I also learn that the race number you are assigned has meaning: lower numbers indicate that a rider has participated (raised funds, ridden and marketed) the event for more years than others. Rider 1 turns out to be a nice guy named Darren who talked to me the day before at reg. Maybe that’s where the memory of my dysfunctional hands comes from, or maybe that’s when I start to realize that this will not be an easy writing assignment. We (anonymous riders) eat breakfast. We (anonymous riders) listen to one of us sing the Star-Spangled Banner. We (anonymous riders) chant, sing and clip into our pedals for a 525 mile ride. We (anonymous riders) cry when we think of the reasons why we ride, but we cannot face what it takes to speak these things aloud. It would make them too real. If you’ve never been to the California Coast, I’m not sure any amount of descriptive language I could offer would do it justice. It’s all the extremes, all at once: all the dense fog, all the cliffs and ocean spray, all the marine wildlife you can’t see anywhere else (or that you can’t see in Nevada, anyway, which is where I live) and all the windy, fun roads that make cycling so fun. Granted, on the morning of day 1 when we rolled out of Pier 39 in San Francisco, there was so much of that intense, dense fog that you really couldn’t see much of the route at all. At one point, the group I joined up with (a handful of cyclists from Chicago who raise money and ride under the “Team Carter” banner) started up a climb and one rider noted that the climb would be long and difficult. 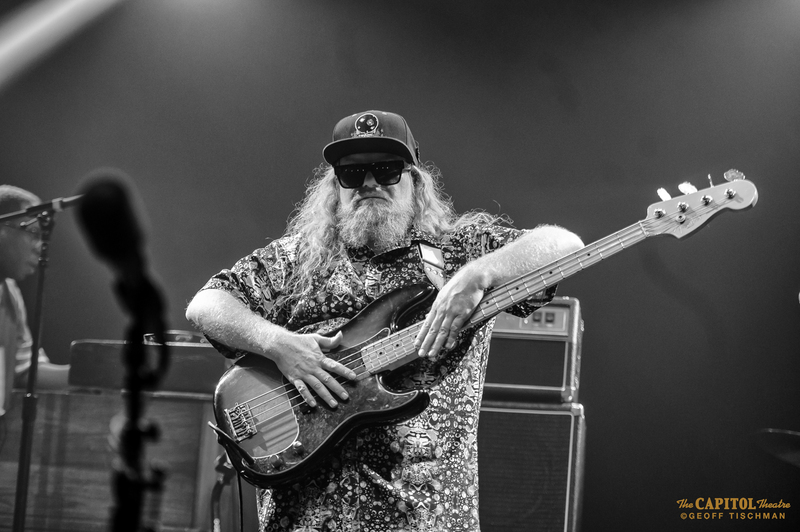 As we turned our pedals around the crank in the thick witness around us, we started talking about other things— places we’d been, and other odds and ends we had in common. We crested the climb unexpectedly, and coasted to the first of three rest stops that day, that would keep us fueled for the 85 mile leg to Santa Cruz. For my two days on the road, I ride with members of Team Carter, a team formed by Jerry Davis, who is riding in the CCC for the fifth year in a row. Carter is Jerry’s grandson, who was diagnosed with arthritis when he was only three years old. Today, Carter is seven: and Jerry’s goal is, through the fundraising and riding efforts of his team, to fund a cure that will enable Carter to live a normal life by the time he is 18 years old (he’s seven years old now.) The team wears colorful jerseys with a cartoon rendering of young Carter as a super hero on the front and back sides: the riders ages range everywhere from (as far as I can tell) mid-20s to the early 60s. Some are accomplished and strong cyclists, but every member of the team is a dedicated advocate for arthritis awareness who has dedicated not minutes or hours, or even days, but weeks of their lives to fundraise to save the lives of 300,000+ kids in the United States just like Carter who suffer from the pain and the damage this horrible disease does to their bodies. 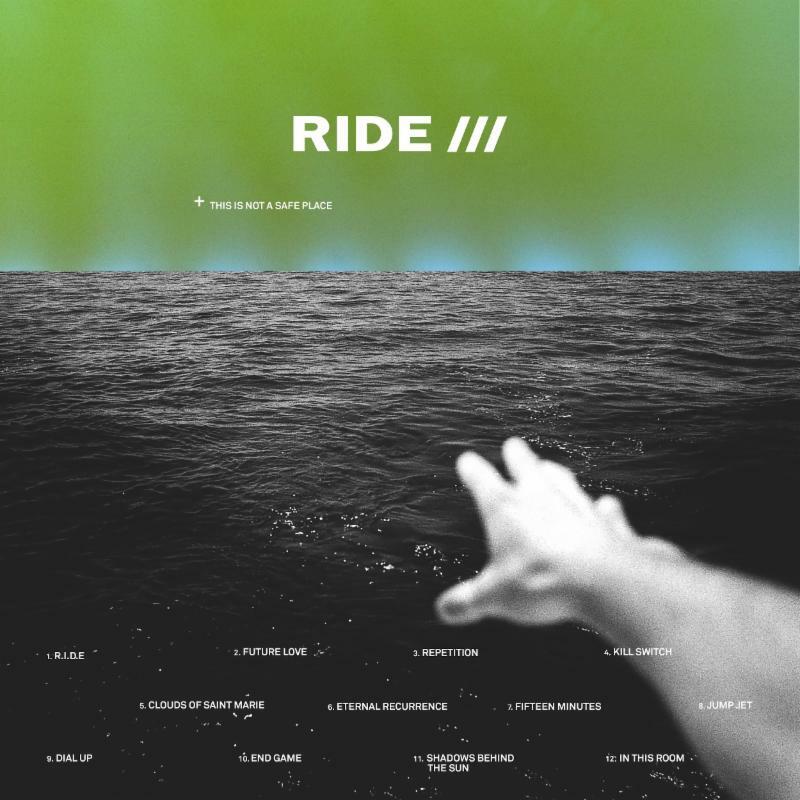 And what about riding in the dark? There is a “sweeper van” that comes through at about 6:00 pm; so, no matter where you are, you have a guaranteed ride into the final destination for the day. Event staff and volunteers do not rest until every participant has been accounted for. The end of my first day— that 85-mile trek from San Francisco to Santa Cruz— ended at about 3:00 pm. My fiancé— a bike shop owner, long time bike mechanic and photographer— was assisting riders on the course and texted me that he was approximately two hours from finishing. Normally, this would mean that I would sit around in my sweaty, cold cycling clothes, dirty and disgusting from the ride. However, once I racked my bike at camp, CCC volunteers changed my life and perception on what is possible in this world. “Why don’t you take a shower?” they asked, pointing to what looked like a white box that’s usually towed behind a semi. I’m not going to lie: the shower truck was so wonderful, I think every cycling event should have one. Hot, running water: nothing feels better after a long adventure on the bike. When I emerged from the magical shower truck, wearing clean, dry clothes, once again CCC volunteers surprised me: “Join us for cocktail hour!” They said, waving me to a tent where local beers and wines and a handful of other riders waited. Slowly, my anxiety about waiting for my fiancé waned and I was submerged in stories. I met Mickey, “official” CCC mascot and a cyclist had been diagnosed with a brain tumor the year before. “I’ve only been on the bike since May,” she told me. “But, I woke up in the hospital and knew I need to ride my bike again.” Her story touched me: last year, I lost my French-mom (I was an exchange student in France in high school) to a brain tumor. To see someone so vibrant, so determined to live: it was really difficult for me not to cry. Before my fiancé rolled into camp, I put up the tent (the first tent I’ve constructed in my life) and talked with the other cyclists around me. I can only describe the experience as something as endearing as a family reunion: everyone knows each other, they know who snores, they know each other’s houses and what they do for a living; they miss others who are not present and a joke told years before is still, somehow, funny. So, I built a tent. The fog rolled in. At 6:00 pm, everyone gathered to listen to a presentation from a person afflicted from Arthritis. The evening meal, catered, was served at a long table where stories swam between long-time participants and newbies like me. I remember watching the tents light up, one by one, from my little green tent with my fiancé beside me: and I realized we place so many limitations on ourselves in this life. Of what we can and cannot do. What we can afford and why. Of what we are capable of or being. Granted, it’s silly to say that building and sleeping in a tent was life-changing, but it literally was, for me. For the first time, I started to realize that I have a lot to learn and experience in this life. But at the same time, I realized that my education—and my love of words— has taken me very far from where I started. The next morning is foggy, dark and cold. We pack up camp redundantly (that little green tent was surprisingly warm) and start on the road earlier than the day before for Day 2, which will take the CCC riders to Carmel. I stick with Team Carter for the first half of the day, meeting them at a coffeehouse called “Norma Jean’s’” somewhere South of Santa Cruz. This is where I learn more about Team Carter and where, when one Team Carter cyclist notices I’m shivering, initiates a “group hug” around me. I can honestly say no one has ever done that for me before; and I’m squished between all these bodies, and I think: this is incredible. This is what it feels like to belong to something, and to do something important. Because of the cold, I eventually ride ahead of Team Carter. It’s “team jersey day” and I wore my race kit from my Reno-based cycling team. But, I freeze, literally, all day. The only time that I’m warm is when I’m on the bike, pushing somewhat hard. I’ll hear about this later, of course, but it’s survival (mostly) and the deadlines from my life outside the bike always start to encroach on my weekends on Sunday afternoons. In Monterrey, near Cannery Row, the fog clears and I see the Pacific in all her glory: the blue, the Pelicans, the whales, the seals, the sailboats, the tourists. This is not my life; this is grace. I don’t want the ride to end, this journey to places where I know I cannot possibly belong. 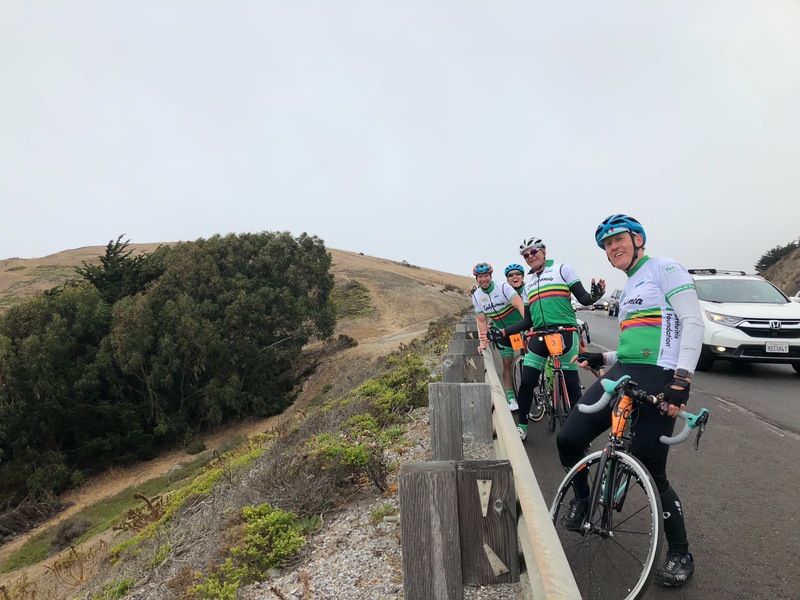 At the end of the second day, riders cycle by the famous Pebble Beach Golf Course, past Carmel-by-the-Sea, and travel inland for six miles or so to a campground perched on the side of a hill. By the time I get to the final six miles, my legs are cooked from the winds and climbs I’d experienced since early that morning. But I ride: because in this event, we all ride for a cure. The Cause is contagious: it is what I think about, and I worry that I won’t write something worthy, that I haven’t ridden hard enough. My fiancé and I ride together through the ranches, the houses, the scrub oak along another road we do not know. When we make a final turn onto a residential road, I’m looking forward to that shower-truck, the comfort of cleanliness, of knowing the world around you and what you can expect of yourself within it. But now I can’t forget those stories and the sense that I’m lucky to be able to ride a bike the way I do. It’s time in my life to ride a bike in honor of people who can’t. I watch the ranches pass us by: the houses, the horse corrals, the shaded groves. Then, we make a final turn to the finish and a narrow, steep climb awaits us. I climb this alone, so I can’t say with any authority what other riders thought about it. But, for the brief seconds when I doubted my ability to make it to the top, I wondered if it wasn’t some sort of proper metaphor for not only arthritis itself, but the people who have dedicated themselves to finding its cure. The climb is narrow and scary, and the outcome is uncertain. Your body hurts, breathing hurts, you hurt. In the distance, you hear the clanging of a cowbell. You hear your name. You might give up, but this kid—or this woman, man, hotel owner, friend, stranger—they are calling your name. And, for that alone, you can’t stop. That is the California Coast Classic: an event that is an epic 525-mile journey that, no matter how you slice it, teaches you who you are: which is, if you support this cause, a hero. 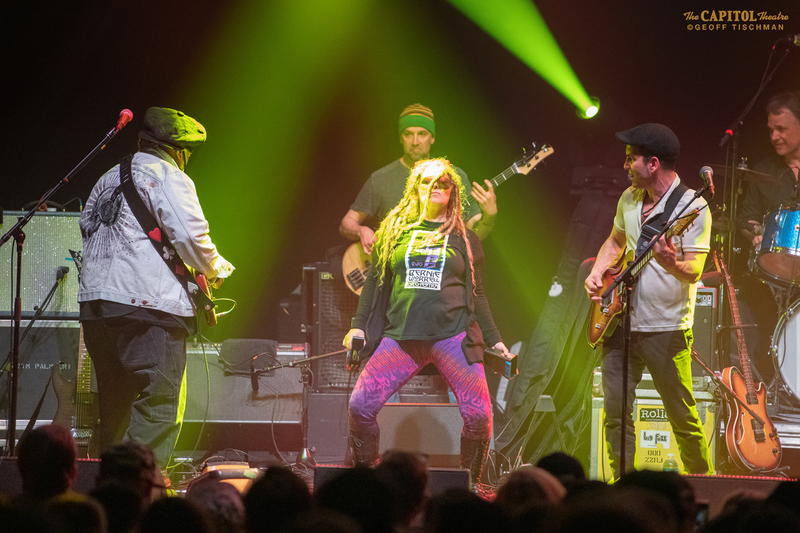 If you are inspired or curious, registration for the 2019 event will be held Sept. 21-28, and is now open. Beginning Jan. 1, 2019, the registration fee for new riders is $95.